CROSS MARINE PROJECTS is Utah’s premier commercial diving company! With over 30 years commercial diving experience in Utah, our team of certified commercial divers and technicians are capable of completing challenging underwater tasks throughout the state. Due to the higher elevation and unique environments, such as the Great Salt Lake, commercial diving in Utah requires specialized equipment and advanced commercial diving procedures. Through years of underwater surveys and research, we have gained a superior understanding of the geological and topographical characteristics of Utah’s many natural and man-made bodies of water. As a result, our pre-project planners can help you match the most cost-effective solution to your underwater needs. Our main commercial diving facility is located in Utah, allowing us to quickly mobilize for underwater inspections and projects around the state. Potable Water Tank Services: Inspections, Sediment Removal and Repairs. In addition to the commercial diving services listed above, Cross Marine Projects offers custom solutions to projects associated with diving. Our marine services department also includes dredging, hdpe pipeline installations, harbor maintenance and other marine construction and recovery services. Locating and recovering objects underwater doesn’t have to be like searching for the Lost City of Atlantis. Our commercial diving services are effective and affordable. 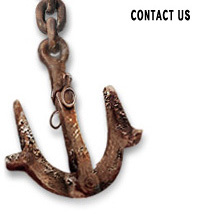 We set the standard for commercial diving companies in Utah. Visits the topics on the left side of this page for more information about our services or contact us to schedule a project.